Vinica is a small town in the Kocani filed between Osogovo and Plackovica mountains, in eastern Macedonia. Vinica is seat of Vinica municipality. According to the 2002 census, Vinica had 10,803 citizens. Vinica is easily accesible from Kocani, that is only 11km away. Skopje is just 115km away, using the route through Kocani, Stip and Veles. 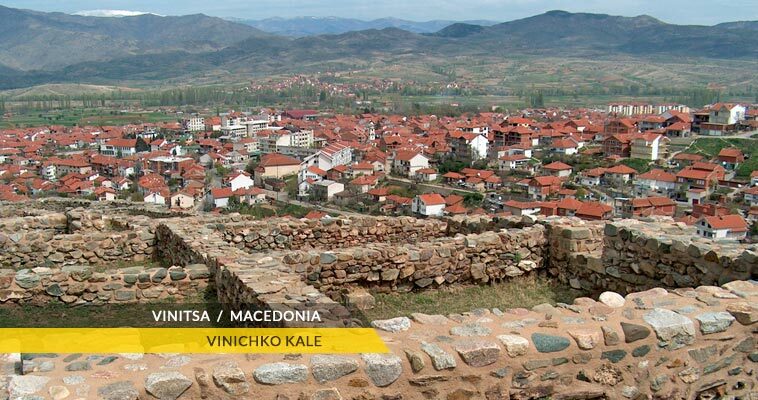 What makes Vinica especially important are the archaeological findings that have written exceptional pages in the cultural history of these areas. Besides the two ancient statues of women without heads, in full size (found near the village of Kalimanci), in the vicinity of Vinica, there is the archaeological site Vinicko Kale. Today, the favorable climate enable Vinica and the surroundings to remain a region where agricultural plants are cultivated, primarily tobacco and the famous rice of Kocani and Vinica.